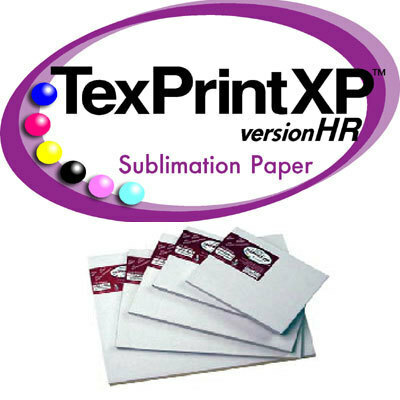 Beaver TexPrintXP™ -HR Paper is a semi-high release paper that works on everything except some ceramic mugs. Recommended for soft things such as shirts and products made from mousepad material. While this paper will work on hard substrates, the extra ink release is wasted on them and could cause an over saturation of the image should transfer parameters (time/temp/pressure) aren’t just right. Note that this paper will work fine on glass.